Easter is a religious ceremony to celebrate the resurrection of Jesus and to share eggs. In the modern age, there are many things to put inside the egg-shaped product. 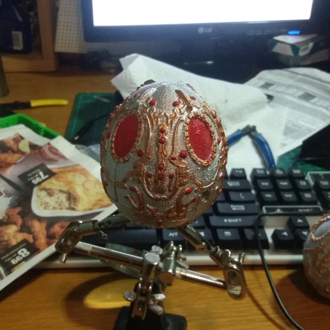 So I applied my design style to make an Easter egg that can open and close the shell more fun. 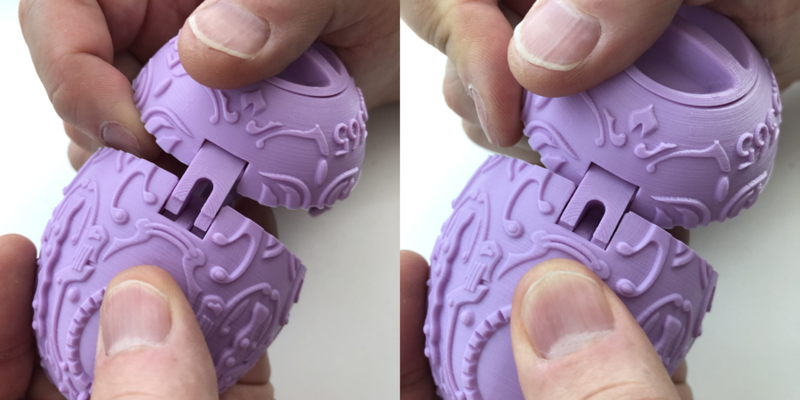 This new Easter egg is a structure that can be opened and closed by turning the knob at the bottom to move the internal structure. 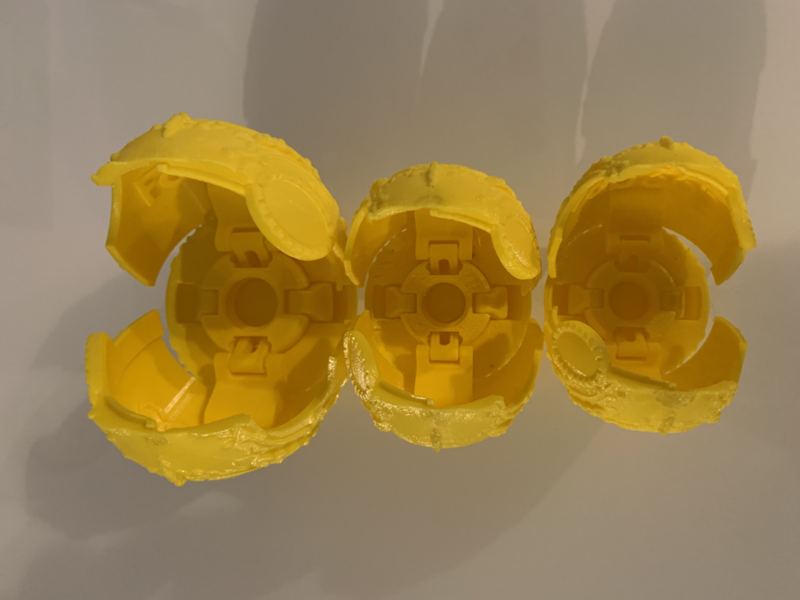 This egg is made by connecting the outer hinge to the outer structure by inserting the outer hinge into the shell and connecting the inner hinge to the internal screw structure. The upper part of the shell has an interlocking structure so that when the egg shell is less closed, you can press on the top of the shell with your hands. If the handle is not open properly when you open the shell, you can open it by slightly twisting the gap at the top of the shell and then rotating the handle. Inside this egg you can put small snacks or small things such as candies or chocolates. Please have a happy Easter with this egg. Printed this egg in 100%, 115%, and 150% with the setting provides on this site, printed with .12 layer height. All the joint working as it supposes to. It came out awesome. I have the same problem as fixedpoint. A gap at the bottom of the egg. The hinges will not go far enough into the upper shells. How do I correct this? 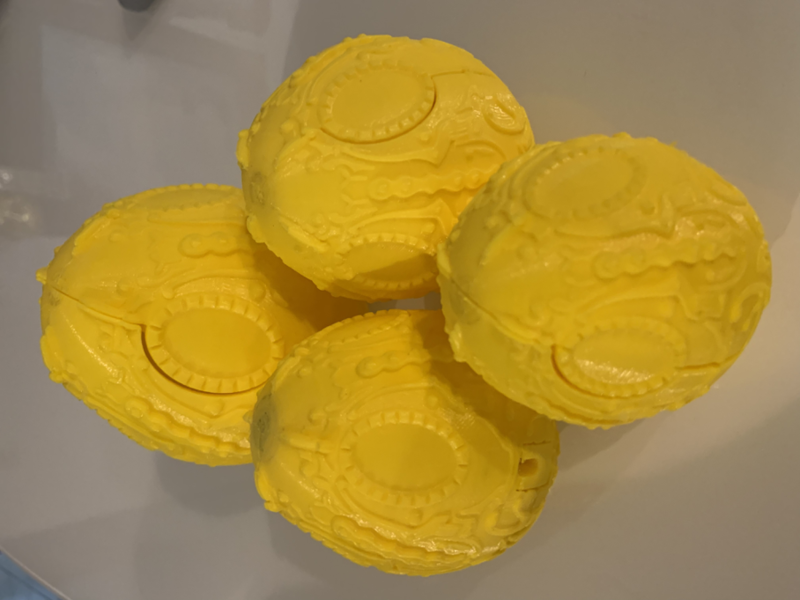 I have a quick question, my egg printed great but doesn't go flush to the bottom (gap between shells and bottom.) Did I miss a step? I see that you added Simplify 3D print settings. 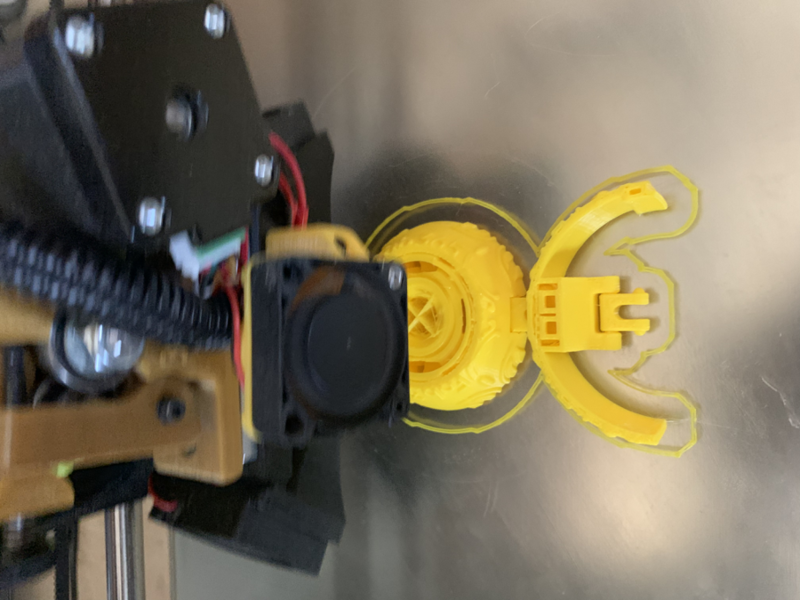 Can you show what those settings would be for Slic3r PE as I have a Prusa MK3. I just downloaded this and followed the settings for outputting. My slice says that it is a 16 hour print. Does that seem right? Just trying to plan my time. what did you slice it with and what printer do you have? Anyone who prints with 0.1mm layer thickness will have a long print time. We spend more print time. Slow print speed is essential for good quality. 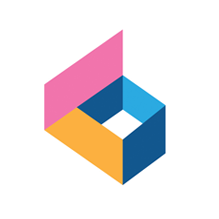 It is the same as any design print as well as our design. We just uploaded. Please refer to this. We do not recommend 0.15mm layer height. Thanks, I just noticed the details..I'm going to follow the rules right now. Let you know ! Was just wondering what are your recommended print setting for this egg? We just uploaded. Please refer to this. 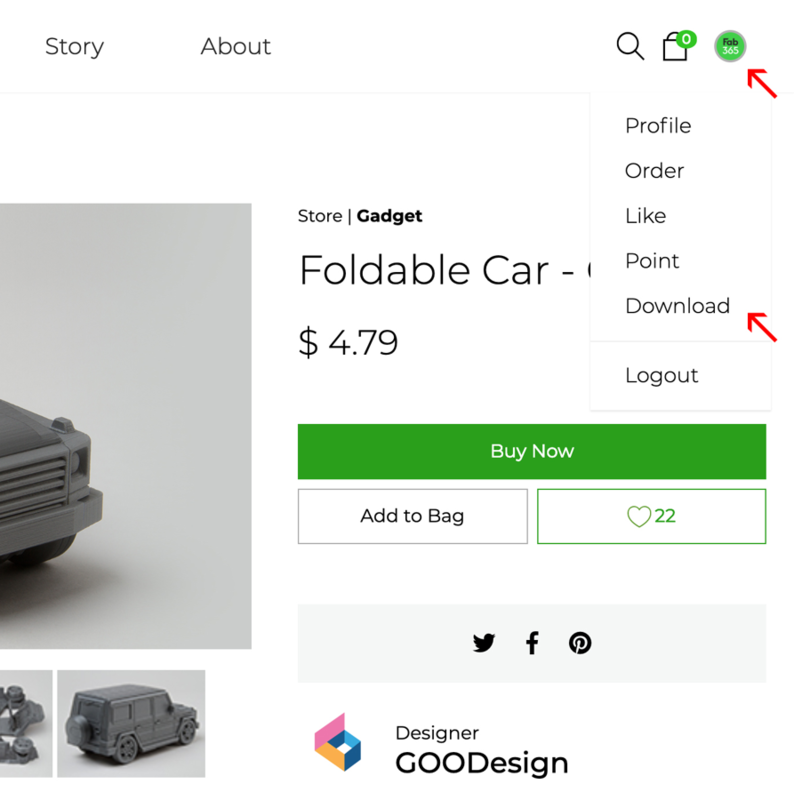 You can see the pull down menu by clicking next to the shopping bag icon in the upper right corner of the internet window. Click here to go to the downloadable screen. Thank you.